TEEMHaiti is a non-profit 501c3 dedicated to reaching and empowering the Haitian people. 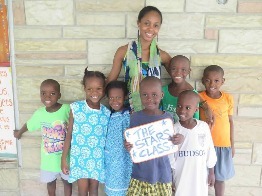 TEEMHaiti has partnered with Maison des Enfant de Dieu and For His Glory Outreach to launch Lekol Lespwa. This school provides a quality education for the children at Maison by trained teachers and curriculum to enhance the learning goals of every child. There are over 40 children attending school, with plans to expand in the future. The children start the day with Bible study, then move to their appropriate class room. TEEM Haiti relies on donations from sponsors to provide scholarships for the children to attend school. To make a difference in a life of an child, please make a $25 monthly recurring donation and receive updates on the child you sponsored! The mission of TEEMHaiti is to teach, empower, equip, and mentor the people of Haiti working with men, women, and children to provide hope and encouragement with the goal of impacting the future by investing in people and making a lasting change. TEEMHaiti has launched an Adult English School to allow a group of men and women the ability to learn English. By learning English, it allows the adults the opportunity to communicate with English speaking visitors, advance in their current job or obtain a job, translate for English speakers, and gain confidence in themselves. 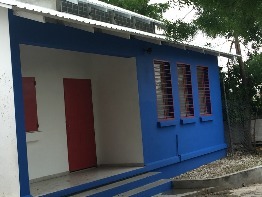 TEEMHaiti works in Port-au-Prince, Haiti. We focus on the Haitian people by having annual conferences teaching basic skills including self-defense, healthy living, life skills, team-building, and much more. TEEMHaiti also supports several children and adults providing a way for them to attend school. Our new school, Lekol Lespwa, launched in 2016 with over 40 children in attendance. We also provide homes, medical care, and support to the people in Haiti. TEEMHaiti is grateful for the #pimpinjoy shirts that were purchased through the Bobby Bones Show for raising funds for the kitchen. The Bread Kitchen will provide fresh bread for the children at Maison des Enfants de Dieu and the staff. The Bread Kitchen provides jobs to local Haitians, which allows them to provide for their families. We are excited about the Bread Kitchen!